This is "greatness," I guess. 1) Today Donald Trump's campaign manager, Corey Lewandowski, was arrested for battery, in an attack on reporter Michelle Fields. Somehow the Lewandowski spotted a dangerous threat that was missed by both the Secret Service agent between him and Fields as well as Trump's private bodyguards. Either that, or Lewandowski is a thug who was afraid Trump would say something stupid in response to Fields' question about Affirmative Action. 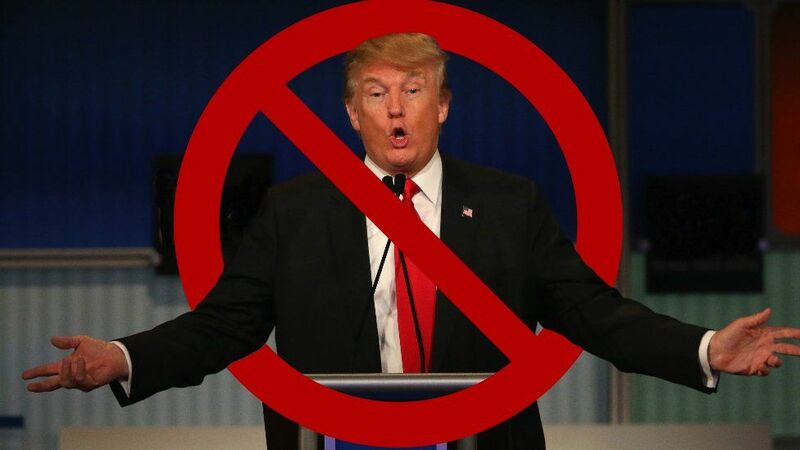 3) And even better, Stephanie Cegielski, communications director for the pro-Trump Make America Great Again SuperPAC, has denounced Trump as a clueless and dangerous demagogue. Here's how she characterizes his run for office: "What was once Trump's desire to rank second place to send a message to America and to increase his power as a businessman has nightmarishly morphed into a charade that is poised to do irreparable damage to this country if we do not stop this campaign in its tracks." And here's how she characterizes Trump, whom she knows: "The hard truth is: Trump only cares about Trump." 4) And best of all, it's becoming clear that Trump will not win the majority 1,237 delegates needed to become the Republican nominee on the first ballot at the convention, and that on a second ballot most of his delegates will defect. If Rule 40b of the Republican National Committee's rules for the convention is not repealed, only candidates who win majorities in at least eight states can be nominated. That means Cruz and Trump. Cruz, and to a lesser extent Kasich, are managing to get supportive delegates onto rul-making committees, while Trump, with very poor connections in the GOP, is not. If rules are changed, it won't be in Trump's favor. All of this is bad news for Trump, and for that segment of his supporters who would support him even if he murdered someone on Fifth Avenue. Of course, these are the people who, Trump warns us, will riot should he not receive the nomination (even if he doesn't win the required 1,237). Trump supporters will riot when Trump loses?! Like everything else he says, these are meaningless talking points, just bluster. When Trump loses, assuming Trump supporters actually wanted to riot, what will they riot against? Will they burn their own neighborhoods? (They can't, the "Black Lives" movement has already patented this). Ransack McDonalds and Walmarts, perhaps? That's almost (but not quite) as likely as Kasich supporters burning down Trump Tower when Kasich loses. Hah! Yes, bring on the "Trump riots!" I am sure most people would think my call for a declaration of war on Iran is way over the top; certainly I'd expect most "libertarians" to think so. (Most people aren't readers, of course, and most "libertarians" aren't really libertarians, but never mind all that.) But my position seems to me quite measured and reasonable, and positions to the contrary make no sense that I can see. Currently the United States government plans criminal prosecutions against the Iranians responsible for the cyberattacks. Suppose instead they had flown Iranian Air force bombers in an attack on the United States. Would the appropriate response be criminal prosecutions of the pilots, while ignoring the fact that they are agents of the Iranian government? I'll answer my own question: no. Even if one doesn't think the attack sufficiently serious to go to war, from the perspective of the Iranian government, they've engaged in an attack on the United States, an act of war, and have learned that they are able to do so with impunity. The consequences and implications of this are horrendous. A hostile theocratic dictatorship, and a major exporter of terror and guerrilla operations (a fair amount of the latter is mislabeled "terror") understands it can attack the United States without serious consequences. Not only Iran learns from this, everyone does -- including Russia, China, North Korea, Daesh, et al. To avoid this, at the very least the president should have ordered a retaliatory attack, e.g. a few cruise missiles on Tehran, or perhaps destruction of the Iranian naval base on Farsi Island. I strongly oppose unilateral actions by the executive branch for the obvious reason that the Constitution authorizes the Congress to declare war, not the president; every war since WWII has been unConstitutional. The United States have not been at war, even while waging war. Given that a foreign power attacked targets in the United States, a declaration of war is certainly appropriate. One might disagree reasonably with my suggested war aims, but I can't imagine any reasonable disagreement with my -- what, call for war? -- no, my insistence that since Iran is already making war on the United States, we respond by defending ourselves. The war is already underway, whether we want it or not. Disagree? Then how bad does an Iranian attack have to be, how much destruction must it cause, before it's worthy of a response? Iran is certainly developing intercontinental ballistic missiles -- should we wait until it has them, armed with nuclear warheads, before we respond? Should we wait until Washington D.C. is a smoldering radioactive wasteland before responding? (OK, I know, that's tempting in a way; but only in fantasy is that a solution to out-of-control government.) I cannot see any reasonable argument against retaliation. I can't see any reasonable argument against a declaration of war. As news goes, it's not getting nearly as much attention as the Brussells attacks or Trump's latest hooliganism, but a grand jury has indicted Iranians working for the Iranian Republic for cyberattacks that include an attack on controlling systems for floodgates on Bowman Dam in New York. This is not a criminal matter. If instead Iran had sent bombers or missiles to strike the dam, it would be an obvious act of war. This cyberattack is no less an act of war. I know, nothing much will come of this. Commissar Obama has been too busy in Cuba talking about how Castro's Marxist revolution and the American Revolution are really all about the same thing, and how the Cold War was a mistake on our part, and how much we have to learn from communism. Most everyone else is focused on Brussells with progressives worrying about incipient Islamophobia and non-progressives wondering why progressives have a death wish. But here's what ought to happen. The President of the United States ought immediately to ask Congress for a declaration of war against Iran. Congress should pass it immediately. The President should announce the following war aims: Iran surrenders, and in doing so agrees to complete dismantling of its nuclear programs and ballistic missile programs, with instant access to American inspectors on demand, with no waiting or appeal, or else the United States will conquer Iran and eliminate the current government. This announcement should be accompanied by heavy strikes on Tehran and elsewhere, just so the Iranians understand this is real. I suspect that either eventuality would lead to the overthrow of the Iranian regime, and Iranians in general would welcome this liberation. But if it didn't, the United States should see it through regardless. If that means destroying Iran, so be it. The idea that rogue regimes should be free to attack the civilized world is a formula for the destruction of civilization. I know some (many) "libertarians" would be aghast at the idea of going to war with Iran. But this isn't an intervention abroad -- the United States were attacked by an enemy country. If one genuinely believes in liberty, one will fight back and put a stop to the attacks. Iran ought to be crushed, now. Update: Trump's hooliganism -- his latest smears of Ted Cruz and his wife Heidi show how immoral and unfit for any kind of power he is; he increasingly strikes me as mentally ill. That possibility ought to come to mind to anyone who reads his bizarre ramblings in his Washington Post interview. 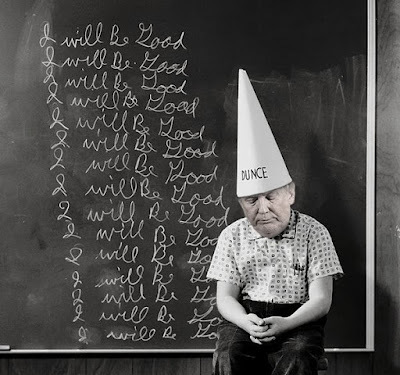 If not insane, he's certainly stupid and ignorant. Update: Obama's marxism -- his behavior and words in Cuba and Argentina are Marxist; yes he's a communist. At this late date, why would this be surprising? I've met many academics (only in the United States!) who are self-described Marxists. Their political views are essentially identical to his. I've made a minor change or two to the Unforeseen Contingencies blog links. I've deleted three and added one. Jettisoned: 1) Simon Johnson's Baseline Scenario. This was very good when Johnson wrote it; Johnson is a topnotch economist and very thoughtful and fair, able to consider quite fairly ideas of people with whom he disagreed. But the blog was largely taken over by his co-author James Kwak, who has none of these abilities and characteristics. Kwak is fairly described as a progressive Democrat hack. To the cybertrash with it. 2) Mario Rizzo et al. Think Markets. This blog from the Austrians at NYU started out as an excellent and thoughtful blog. Rizzo seemed to post less and less, and some lesser figures began posting, and the quality declined. Posts are now infrequent and of no interest. To the cybertrash with it. 3) Cafe Hayek from Don Boudreaux at George Mason U. Boudreaux is a good economist, but like so many libertarians he is utterly oblivious to political events. Save for his acceptance of the lunatic idea that entirely unrestricted immigration is a good idea, his blog is fine for people who are studying Econ 101. But this is Unforeseen Contingencies, we're well advanced beyond that, so to the cybertrash with it. Added: Pam Geller's blog. In truth, the primary purpose of my blog roll is to make it easier to get to things I want to read. Pam Geller's site is the best I've found for following things Islamist. I also greatly appreciate her sponsorship of the "Draw Mohammed" contest, which was a very important step in defense of free speech and expression, and a bold slap in the faces of Islamists. I may add a few more sites soon. Civil War in America: Inevitable? West then suggested that we are in for a "horrific" year. He also noted it's a crux year. We will enter 2017 with a new president-elect (I hope!) and the events of 2016 may well determine the course of the next 50 years. Last night I was aghast to hear that a Trump rally in Chicago had to be cancelled because of threats of violence. I cannot stand Trump and think he's dangerous. But he should have freedom of speech, and his supporters ought not be threatened and have their rallies disrupted. The mob totalitarianism that reigns on college campuses has now spread from the campus to the rest of the country and inserted itself into the presidential election. As a commenter on another site puts it, "how did we get a generation that doesn't believe in free speech and often treats the idea as a joke. Silencing the opposition has become a valid tactic that doesn't even shame the people that use it, let alone have repercussions." Mike Vanderboegh wonders if there isn't something deeper at work, the spread of collectivist thinking at the expense of belief in individual rights, and that perhaps it is already too late. A political rally has been shut down by protesters from the left. How long before this becomes standard for all non-left candidates? If it becomes common, there'll be retaliation in kind. I don't have sympathy for protesters who disrupt campaign events. It is a form of violence. But it is also obvious that an accelerating cycle of violence will truly make 2016 horrific. We need to cut it short. We also need a president who, starting in 2017, will make an effort to reach out to all Americans, including the ones with crazy ideas, and begin the hard process of un-dividing people. What's particularly interesting to me, and hopeful, is the approach that Ted Cruz has taken with those who try to disrupt his events. He is civil. If possible, he engages with them, treats the decently, and makes his point. I've seen several videos of him dealing with Ellen Page in Iowa, and dealing with kooks who climbed up on the stage during a Second Amendment rally. Here are two more, just posted on RedState.com (where I took the quote above from commenter Joliphant). The first video shows Cruz confronted by an angry farmer in Iowa. By the end of the exchange, everything is different. Who knows whether the farmer really is converted into a Cruz supporter, but there's no doubt at the end he respects Cruz, and likewise feels respected. It's kind of moving. This second video is long, but highly instructive. When "Code Pink" demonstrators try to disrupt a Cruz speech, he engages them, allows them to have a say, and debates them civilly. He defuses what might have become a nasty confrontation. He makes his points (perhaps more effectively than if Pink hadn't shown up). He demonstrates genuine leadership. There's great hope for America, if Kasich and Rubio quit now. This is the first presidential election in decades in which a candidate whom I think would be a very good president still has a good chance of winning this late in the season. That candidate, Ted Cruz, has been endorsed today by another of my favorite candidates, Carly Fiorina. Fiorina not only endorsed Cruz today, she introduced him at a Cruz rally in Florida. My dream ticket would be Cruz-Fiorina ... could we be on the verge of this? Please let it be so! This ticket would make sense, and it would win. It would win, because both Cruz and Fiorina are unusually intelligent and articulate, and because they have a consistent set of principles, they can -- given the chance -- promote these principles. They'll crush Democrat opponents in debates. They will persuade voters to support them. This last point is neglected in all the polling on who would beat whom in November match-ups, as if people are incapable of discussing arguing, and persuading each other. Cruz would annihilate Clinton, Sanders, Biden, or Warren in debates. Fiorina would annihilate Warren, Deval, or whoever else was put against her as V.P. 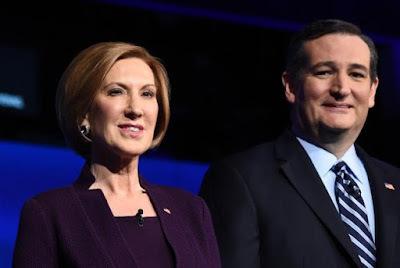 The Cruz-Fiorina ticket would be powerful and would win. They would proceed to try to reverse the expansion of government. Most importantly, they would not be nominating leftist Supreme Court justices and they would constrain the federal bureaucracy (it is the executive branch, after all). Trump would never do these things. Neither would Kasich. Maybe Rubio would, but he seems quite a compromiser. Cruz and Fiorina mean hope for liberty. Currently, Trump is not gaining support -- his support in Michigan and Louisiana was much higher among early voters than among day-of-election voters. While Trump stagnates, Kasich and Rubio are drawing votes to clearly hopeless campaigns. It's not conceivable that Kasich voters would switch to Trump if kasich quits, and very few Rubio supporters would be likely to switch to Trump. Without these two, Cruz would now be ahead of Trump. There's still hope that Cruz can defeat Trump. Rubio and Kasich cannot. They might be able to save Trump, though. They should get out now! Note: for the first time since, I think, 1968, there are only two presidential campaigns to which I have donated money: Cruz, and Fiorina. This really is my dream ticket. In Michigan Today? 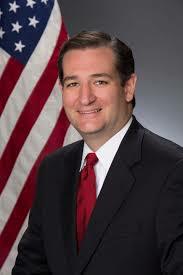 Vote Cruz! "We" at Unforeseen Contingencies strongly endorse Ted Cruz for President. If you are able to vote today in the Michigan primary, chief blogger Charles N. Steele recommends you vote Cruz. No other candidate is as dedicated to defending individual liberty against the expanding power of the federal leviathon. Here's an interesting and unpleasant bit from National Review. Mix the Black Lies Matter crowd with some Trumpkins, and ... ugh. For some time I've supposed a civil war is a real possibility for the United States. This would be a terrible thing, a catastrophe. I think a number of things could lead to this -- an attempt by the federal government to confiscate firearms, a sovereign debt crisis that leads to cuts in transfer payments, or racial incidents, for example. I hope it's a low probability event. Well, some of our crazier political blocs may well want civil war. Who is Moving to Canada? BBC notes that Donald Trump's successes seem to be associated with a spike in web searches on how Americans can emigrate to Canada. BBC wonders what this means, but I think I have an explanation. No doubt these searches are Chris Christie, who has realized that his endorsement of Donald Trump has apparently earned him the contempt of every single American in the world... including Trump. In politics, Christie is finished. "A moral and spiritual collapse that has frayed the bonds between the country’s ordinary people and those who seek to lead them, a hollowing out of institutions from Congress and political parties to local churches and civic life, and the disintegration of a shared national intellectual and cultural framework for discussing the issues that confront us. " Walter Russell Mead explains. Read it. I'm listening to the "debate." Ugh. Chris Wallace ought to be tarred and feathered. Maybe we could melt Trump into tar. Getting rid of those two dopes would help. Trump just said he paid four checks to Hillary Clinton for her presidential race for business purposes. That's a felony, a quid pro quo. Megan K. is now asking Trump about his off-the-record discussion with NYT re his flexibility on immigration. More blather. At some point, if Trump continues to win, NYT will release the discussion and he'll be hoist by his own petard. I've become more or less convinced of the hypothesis that Trump is an agent of the Democrats, possibly an agent who is out of control. Trump is likely more successful than he imagined and has gone from a hoax candidate to a serious contender, to perhaps everyone's chagrin. Yes, this is just a hypothesis, and probably we'll never really know. But more importantly, why is this buffoon having any success? Most of what he says is incoherent and contradictory; people who pay close attention to candidates are probably not falling for him. Well, here's a big part of the answer...another hypothesis. The mainstream media has made Trump. This article in National Review explains. The synopsis: He's an entertainer and a gold mine for them, and they've given him three to four times the airtime than all the rest of the GOP candidates combined. "Trump, Trump, Trump." Even in tonight's "debate" it's hard for the Fox News "moderators" to ask a question that doesn't include a reference to Trump. It's pretty clear the MSM strongly favors democrats (perhaps even the Foxers, they certainly seem to have contempt for the Republican candidates) and I gather the MSM thinks Trump can be sunk should he make it through the primaries. They may well be right. For now, he's the media's darling. They'll try to annihilate him later. If this is right, I don't think Trump will be President. It won't be at all difficult for the media to paint him as a fascist and potential tyrant; he supplies them with all the evidence they need. Trump is anathema to many people of many different political perspectives. I don't think he can win. I still believe Cruz or Rubio would clobber Hillary Clinton, should she be the Democrat's candidate. (There's a good chance she won't be. Today's most important news story is that State Department official Bryan Pagliano has been given immunity from prosecution. This is terrible news for Clinton.) The current polls concerning these matchups are meaningless, because in a debate either of them would take her apart and humiliate her. Trump won't. He's ephemeral and unprincipled. I certainly hope we never get to find out. Never Trump! Update: Fox is giving Trump more than 50% of the debate time. And he speaks when the other candidates are speaking.